Centers extend the opportunities for students and faculty beyond our majors and departments. These opportunities are often community and/or research-based, so as to not only strengthen the skills of our students, but at the same time, offer value to our community. Serves as a resource for the local, regional and national business communities. Enables students to choose to do the hard right, as opposed to the easy wrong. 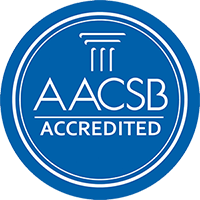 Helps faculty increase their exposure and confidence in the areas of business ethics and social responsibility. We develop thought leaders in the world of customer analytics leveraging data science driven by our curiosity. We aim to partner with others in the creation of fact-based and ethical solutions based on prescriptive analytics. We collaborate with organizations to courageously communicate and execute solution recommendations. Welcome to the place where classrooms come alive! Where you wil experience your major in new, exciting ways. Where you will get involved and learn to help your community. The Sedler Family Center for Experiential Learning in Business is a hands-on learning hub that operates under the Xavier University Williams College of Business. 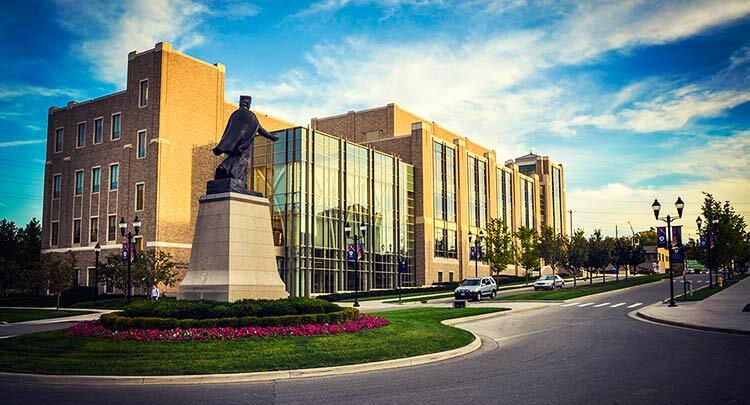 Committed to furthering Jesuit Values, the Xavier mission and transformative student learning, the Sedler Center creates experiential learning opportunities that help students develop business skills and build relationships that lead to high-quality jobs. START:ME Program- an intensive 14-week accelerator program that provides the most promising micro-entrepreneurs in underserved communities with knowledge, networks, and capital. We invites students to volunteer with our program! The Portland Experience- Immerse yourself in the Pacific Northwest business world! Meet the entrepreneurs who started companies like the Original Goat Yoga and Moberi. Urban Farm sells organically grown heriloom produce harvested from the Xavier Urban Farm at local farmer's markets and our dining hall. CLC Fresh Xpress on the fourth floor of the Conaton Learning Commons, serves paninis, quesadillas, and smoothies. Student Consulting Services provides student opportunities to consult with area business, including Virtual Co-Op opportunities in data analytics. Offers hands-on, practical training and classroom integration of state-of-the-art technology including the nation's largest educational access point to Bloomberg LP financial software - the standard on Wall Street and throughout the global financial industry. Conducts and facilitates research in finance and financial economics for in-house purposes as well as for the students and faculty of the Williams College of Business. Promotes financial education through student and faculty workshops, community outreach programs, executive education, economic and investment forums, and a professional speaker series. Provides facilities and oversight for the student-managed equity and fixed-income funds, as well as the student managed financial economics magazine - the Bellwether. The Center for International Business builds international relationships with multi-national corporations and educational institutions that will allow for unique opportunities for WCB students and faculty. Specifically, the center provides expertise and resources to facilitate the offering of innovative and specialized international study programs and internship opportunities that would enhance our students' academic and professional development. The programs are designed to equip the students with a global mindset, sensitivity, and real-world problem-solving capabilities that would help them become valuable assets to the organizations that they would serve upon graduation. Pricing is the most fundamental go-to-market commercial capability. It can--and should--become the linchpin of any firm's successful strategy to generate profitable growth. If it is properly enabled and executed, firms will not only convince customers to pay a little more, buy a little more, or even better both, but more importantly maximize profits. The Xavier Center for Pricing Excellence was founded to train tomorrow's pricing leaders, develop and employ advanced pricing analysis models, and advise companies through complex market dilemmas. The mission of the Stephen S. Smith Center in the Williams College of Business at Xavier University is to promote learning, scholarship, and debate about fundamental questions and ideas that impact society. The Center uses an interdisciplinary approach to examine such questions, emphasizing the study of economics and its relationship to law, political philosophy, and history. The Xavier Leadership Center provides today's working professionals with the knowledge and skills they need to be successful. We offer a wide range of programs, in areas such as leading and managing others, enhancing personal effectiveness and developing broader/deeper business knowledge. Our hands on approach to learning and leading helps develop managers who can inspire, engage and empower others to make a difference in their organizations. XLC offers open enrollment programs through its New Corporate University, as well as custom-tailored learning and leading solutions for many of the area's leading companies. Contact Carol Turchick (turchickc@xavier.edu/ 513.745.2936) to learn more.